Tolling related technologies have made tremendous progress over the past decade, and today developing and implementing a nationwide solution presents fewer technological risks than was the case 10-15 years ago. Additionally, the technologies are able to make use of ever greater performance from mobile telecommunication networks which make operational processes such as online registration and account top-up far more straightforward. Nevertheless, the Capital Expenditure and Operational Expenditure remain a significant hurdle for many road agencies. The decision about which technology to adopt is often informed by the number of segments to be tolled, the type of road infrastructure, the targeted type of vehicles and their volume, and the expected scalability of the system. It is therefore essential for road agencies to carefully consider the system they want to have in place prior to largescale investment decisions. 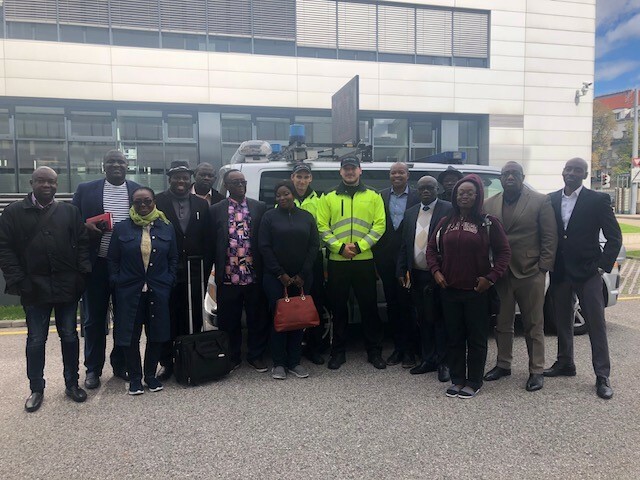 Against this background, IRF organized a 10-day Training Program & Study Tour on electronic road tolling for senior officials from Ghana’s public administrations in charging of defining the country’s future road toll policies and mechanisms. The tour took take place in Paris, Brussels and Vienna, with a mix of context-setting presentations and applied case studies through visits to toll chargers, industry partners and regulatory agencies.